VEDA devised a number of solutions to allow Tank Beer to install their popular beer tanks in pubs around London. The popular beer receptacles can weigh the better half of a tonne when filled, and it is vital sufficient support is provided because they are usually located over the bar serving area, supported on metallic frames. In a number of scenarios, the bar floor was constructed from timber as opposed to concrete so VEDA designed support systems to ensure the frame did not bear on the existing floor, as the floor did not have the capacity to carry concentrated loads. The proposal at Som Saa bar and restaurant in Shoreditch was to construct a support frame from reclaimed wrought iron sections, in line with the bar’s periodic setting. 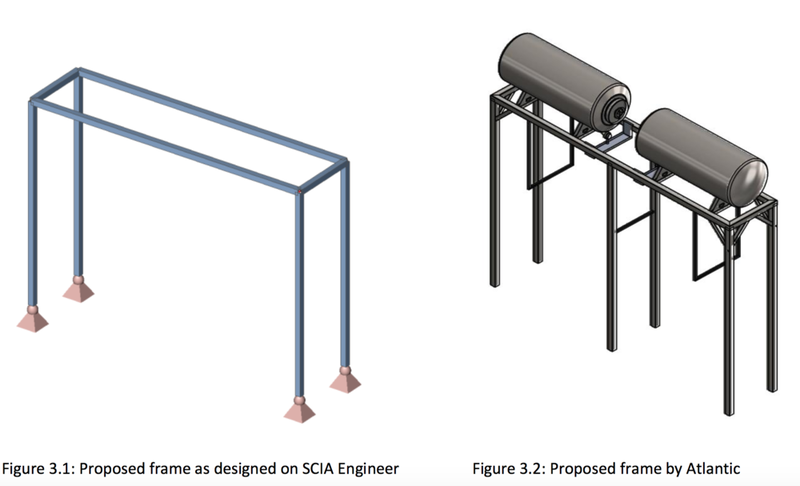 Using Scia Engineer Finite Element Analysis Software, VEDA Project Engineer Ravi Pertab modelled the frame and determined foundation loads. Wrought iron material was created within the software specifically for this project. Two similar schemes were used at The Globe public house at Borough Market and The Signal in Forest Hill. VEDA’s design consisted of steelwork capable of supporting the proposed frame and part of the existing floor. Devising a suitable solution involved assessment of the proposed beams and the existing structure - including the walls and foundation - for capacity. At Twickenham’s rugby pub and club Stokes and Moncrieff, Ravi’s site assessment revealed that there was insufficient wall construction within the basement to support the Tank Beer structure. He consequently devised a solution in which the frame was bolted into the columns either side of the bar. 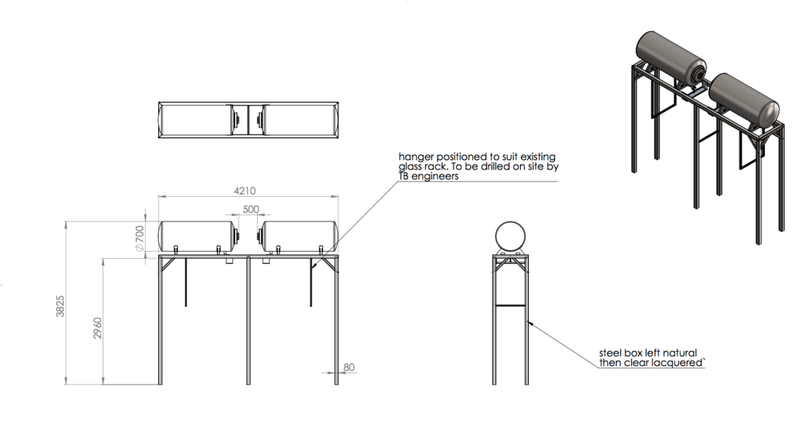 As a result, the supporting frame only required two legs, saving space within the bar area and simplifying the installation process. VEDA also undertook a modelling examination for replacing an existing central island within Camden’s World’s End public house with two beer tanks. The contract involved a 3D analysis of the pub’s suspended ground floor concrete slab to ensure the safety of the tank beer and its supporting frame. VEDA also undertook a modelling examination for replacing an existing central island within Camden’s World’s End public house with two beer tanks. The project included a 3D analysis of the pub’s suspended ground floor concrete slab to ensure the safety of the tank beer installations and supporting framework.